Dilettante’s Kolob Theorem takes its name from Lynn M. Hilton’s book on Mormon theology. While the 15 tracks here spell out a simplified version of Hilton’s thesis, “Heaven or the celestial kingdom is seen as a real place that exists in time and space,” this grand statement is one of the few examples of the expression of a concrete idea on the whole album. Instead, Dilettantes deconstruct meaning, using their drones and spoken-word pieces to create an environment without time and space at all, let alone the celestial kingdom. Though the sounds of the album are interesting, they act in service of the poetry. 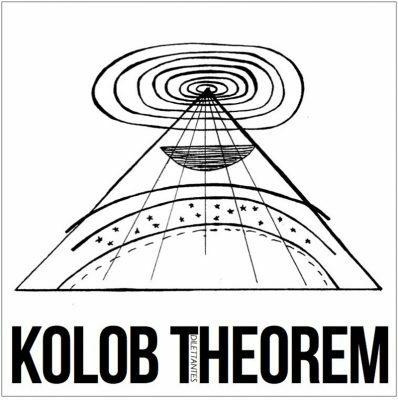 Each track features a unique instrumental, giving Kolob Theorem wide variety. On “Or,” as Dilettantes begin to scream, “No one imagines your sentences are true,” the music swells and glitches in line with the aggressiveness of the poetry. “Space” has the most successful backing of any track, featuring a chopped-and-screwed recording of a plaintive choral piece that grows more distorted and stutters as the track progresses. Dilettantes’ poetry sits well over their airy and dissonant atmospheres. While the vocals do drive the album, the lyrical themes are often difficult (if not impossible) to parse out. Mostly, Dilettantes use free association and nonsensical syllables as their base. A key example of this comes from “Place”: “Water the garden / an excellent stew / a bowl, a roll, a spoon.” The delivery is broken up over a whole minute, making the lines seem even more disjointed and random. What keeps the vocals grounded is the passionate and strained delivery, which bounces at will between whispers and screams.